World Refugee Day celebrated in B.C. “We are here to celebrate with you,” said Melissa Giles, director of programs for Mennonite Central Committee (MCC) B.C., as she praised the strength, courage and perseverance of millions of refugees around the world at a World Refugee Day event held in Abbotsford’s Mill Lake Park on June 24, 2017, that included speakers, song and dance. “At MCC, refugee sponsorship is so important to our work,” she added, lauding newcomers to Canada and those who have welcomed them. Since autumn 2015, MCC has helped resettle 68 refugees in B.C., said Wayne Bremner, executive director of MCC B.C., noting that there are still 60 million refugees in the world today, and every minute 20 more people are displaced from their homes. “Thank you for doing what you do,” said Bremner to the many sponsors who have welcomed refugees into their homes, churches and communities. “It makes a real difference.” He added that MCC’s very existence has its roots in helping refugees. Some former refugees who have found a home in B.C. 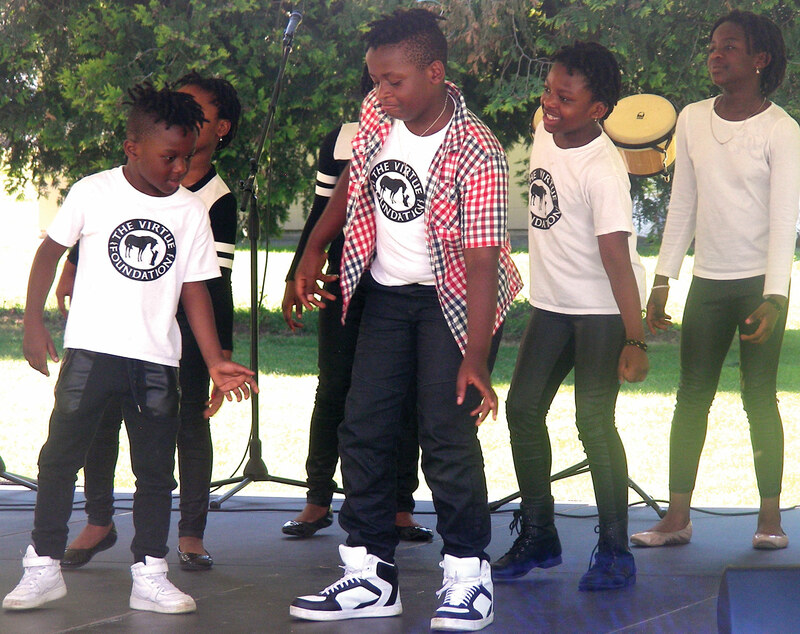 performed music and dance numbers, while sponsors and former refugees shared their stories. Jennifer Mpungu of MCC’s newcomer and refugee assistance program said that a refugee is defined as someone who has fled his or her country, adding that many more people in the world are homeless within their own countries. She urged those present to continue praying for the many displaced persons around the world. “But for the mercy of God, it could be you or me,” she said. This was the second year that MCC has celebrated World Refugee Day in Abbotsford, although celebrations have taken place in Vancouver and other larger cities for some years.